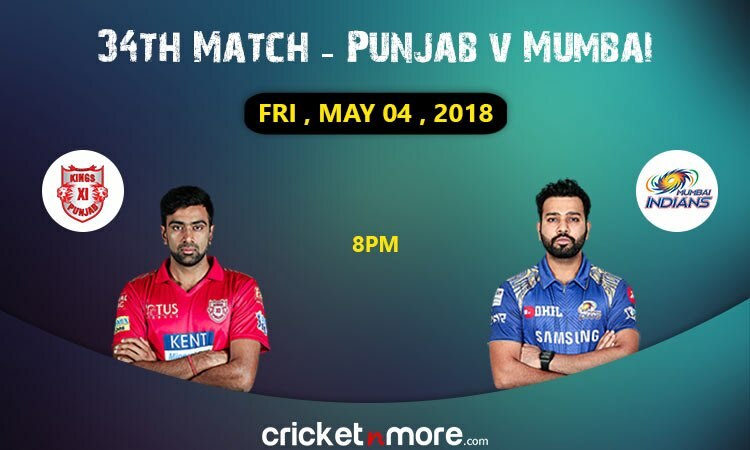 Indore, May 3 - Three-time Indian Premier League (IPL) champions Mumbai Indians will look to salvage pride when they face a spirited Kings XI Punjab (KXIP) in the thirty-fourth game at the Holkar Cricket Stadium here on Friday. The star-studded Mumbai side is languishing at the bottom of the points table with just two wins from eight games. On the other side, Punjab will be flying high on confidence after being placed third with five wins from seven games and 10 points in their kitty.